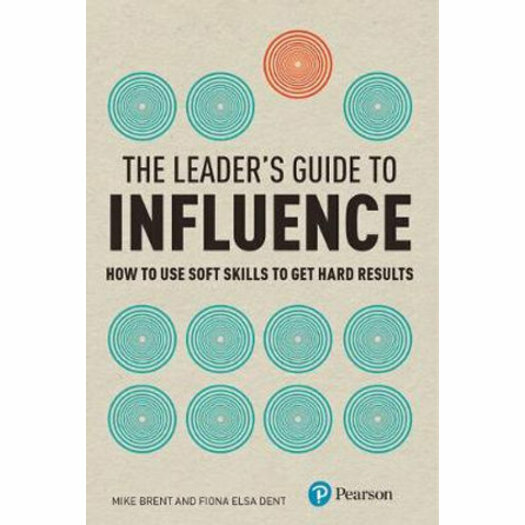 The Leader’s Guide to Influence will show you how to step up your people skills and improve working relationships so you can get the business results you want. Combing the hugely popular areas of influence and leadership, this book will show you how to step up your interpersonal effectiveness by learning how to work more successfully with those around you, be they people you manage, colleagues, client or business partners. Increase your confidence and impact. Learn different tools, techniques and approaches when working with different types of people. Deal with difficult situations and cope with conflict. Mike Brent is a Client and Programme Director at Ashridge. He specialises in leadership, team-building, influencing, coaching, cross cultural management, leading change and personal development. He has worked as a management trainer and consultant with many international companies such as GE, HP, Ericsson, France Telecom, ICI, Volvo and Bang & Olufsen and has a particular interest in working with management teams. Mike has extensive international experience, having run seminars world-wide including Japan, China, Uzbekistan, Thailand, Malaysia, Indonesia, USA, Canada and South America.Mike has published a number of articles on influencing, coaching and leadership, and a book, Influencing - Skills and Techniques for Business Success (with Fiona Dent). Fiona Dent is a Director of Executive Education at Ashridge. She manages programmes, client relationships and delivers management development solutions in the Leading People area. Fiona is also involved with her colleagues in setting the strategic direction of the organisation with a particular focus on human resources.She has worked with a range of organisations and clients and teaches and consults across a broad spectrum of leadership, personal, interpersonal and relationship skills. Fiona has written five books including Influencing: Skills and Techniques for Business Success (Palgrave, 2006).